Neaten Up the Living Room: Layout is key; organize furniture so it’s easy to walk, and set up designated television and social areas. These are among the most efficient home improvement ideas. Designate storage space for books and magazines, and for remote controls. Even try decorative baskets for reading material or open shelving to keep things looking neat. Home storage bins, such as Sterilite Storage Boxes from Brinkmann’s and other home improvement stores, help stow toys, gadgets, cleaning products, and other household items out of the way. Tips to tidy up the kitchen: Organizing your refrigerator makes it a dream instead of a disaster. A chalkboard inside the pantry door helps track shopping items without the paper mess. In the cupboard, install a magazine rack that can help store lids; a CD holder doubles well as a lid holder, too. Cleaning out the cabinets and pantry every now and then helps as well. Clean out the closet: If your clothing is stacked to the ceiling, sort your shirts, shoes, dresses, pants, etc. by type. Identify what you don’t need and throw it out. Sort everything that’s left to neaten up your wardrobe. The same goes for linen closets; throw away or donate stained, torn, or worn-out towels, washcloths, and sheets. Bathroom organization: The bathroom is heavily used, yet relatively small. Give everyone their own shade of towel, sheet, and toothbrush so they know where to find it and put it away. Go through the cabinets, throwing away expired cosmetics and neatening up what’s left. Make the bedroom more livable: The tops of nightstands, dressers, and chests tend to get stacked full of papers, books, pens, and a host of personal items. Make a habit of throwing away what you don’t need, including gadgets that don’t work or empty tissue boxes. Don’t stuff unwanted items back into drawers. Clothing that’s out of place should be folded up or hung in its proper place. 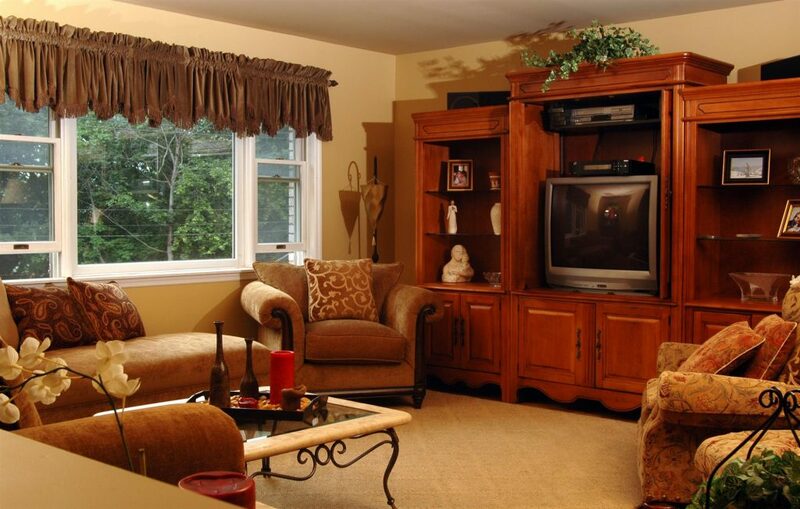 For any room, an excess of unneeded or out of place items is problematic. Small storage bins, and even larger options, such as the Sterilite Wheeled FootLocker, a 92-quart capacity storage unit, help. Brinkmann’s also sells a variety of hooks, hangers, and organizers to make your room, closet, and garage storage more efficient. For organizing smaller items, Ziploc bags work, while a heavy-duty Rubbermaid Roughneck Storage Tote stores valuables while protecting them against cold, rugged conditions. For more ideas on storage, home improvement projects, and finding the “closest hardware store to my location,” use the tools on our website or contact Brinkmann’s Hardware by submitting comments or questions online.